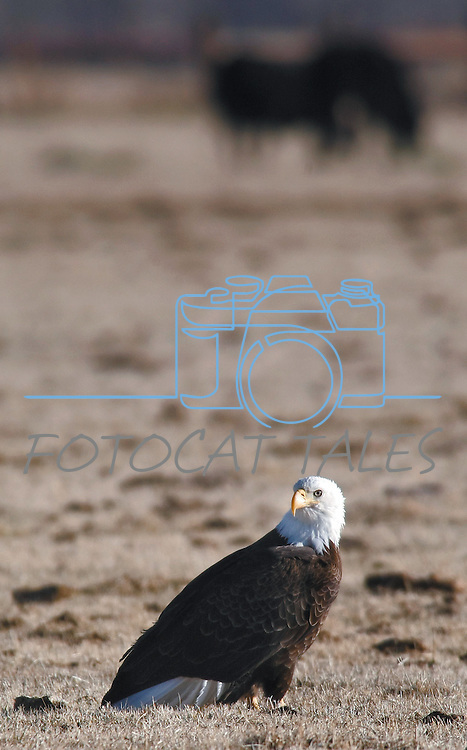 A bald eagle sits in a field along Highway 88 in Gardnerville on Tuesday morning. The birds are seen frequently in the region during calving season. Area ranchers acknowledge the beauty of the birds but ask that observers respect their property and not disturb the cows and their calves.